The Charles Tyrwhitt Super Slim fit is our sleekest and sharpest fit to date, with a slim, modern silhouette. Lowered back darts ensure a close fit across the back. Fitted close to the body and nipped in at the waist, it also has slim-cut sleeves and reduced cuff depth. Excellent shirt. Crisp and feels very well made. The fit is excellent, even for one with arms as long as mine. Highly recommend! 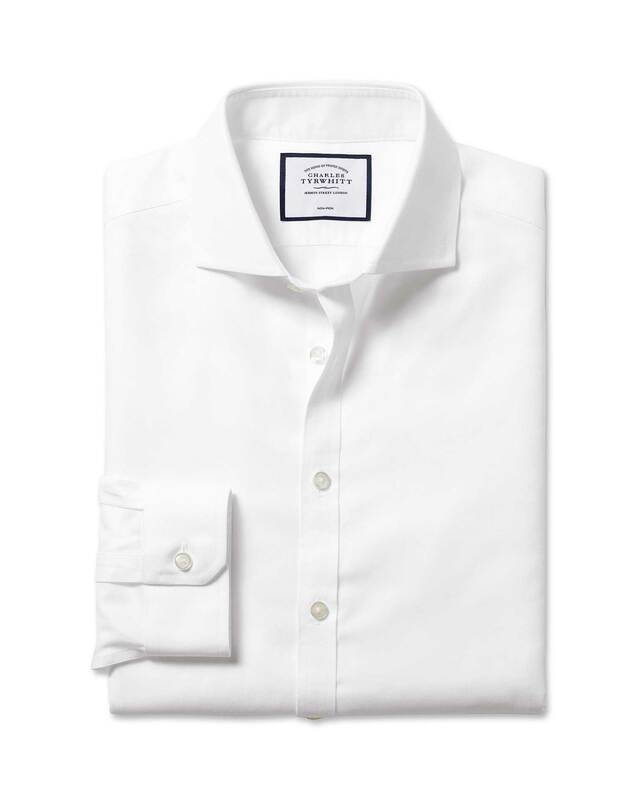 The shirts seem to be well made and are comfortable, however, the shirts I received are missing a button on the sleeve placket under the wrist on both sides. Also, the cuffs only have one button sizing option and they are way too large on the wrist for a Super Slim fit shirt. It would have been nice to have a second button on the cuff to make them tighter on my wrists as i will need to take them to get altered to fit properly. The metal collar stays were a nice touch. Great fit and shirt fabric.